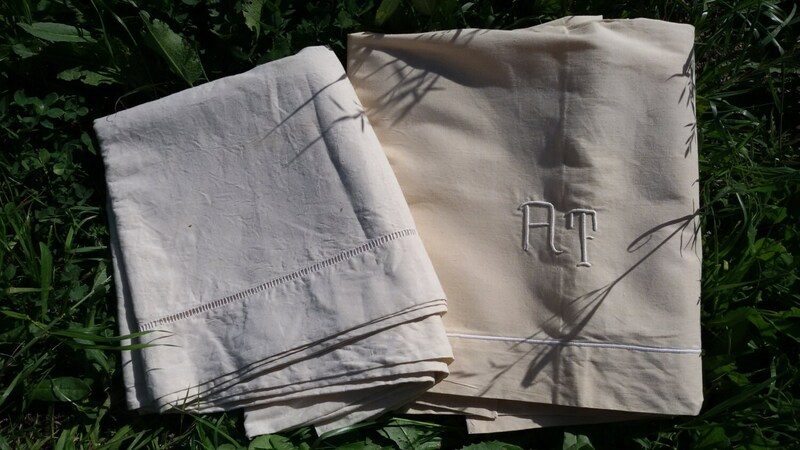 Set of two 1950's French metis Linen sheets unused . 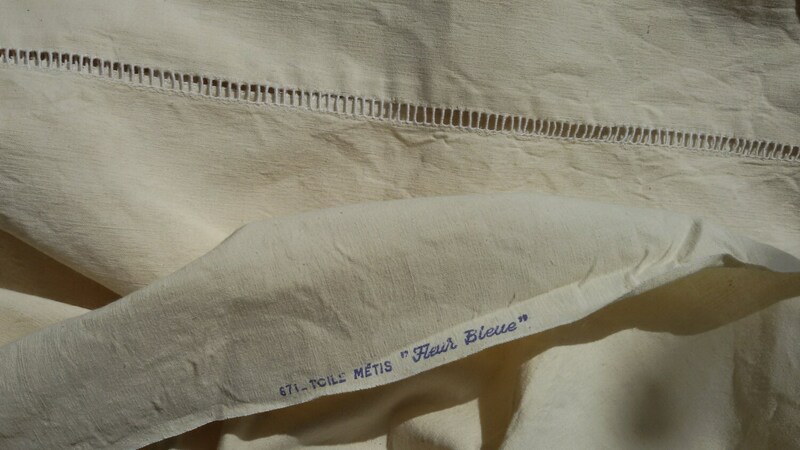 French "toile de metis fleur bleue" Tagged. 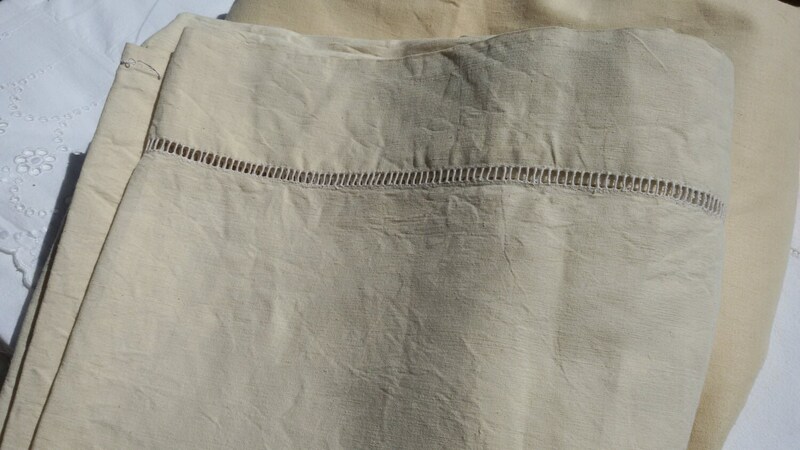 Light tan, white off natural linen color. 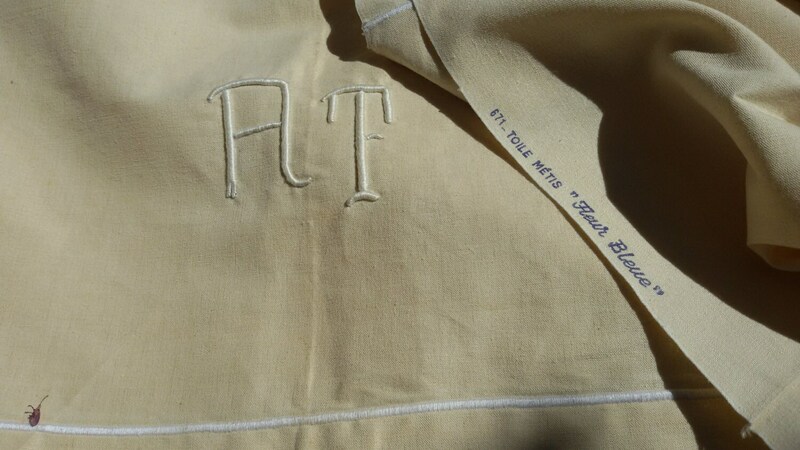 Toile de Metis Fleur bleue tagged = High quality linen woven with cotton made. Most of the French have grandmothers and grand -grand mothers keeping linen and sheets in their closet because of the "Wedding trousseau" custom ! Those beautiful linens are lasting for years in cupboard without being used ! On top of that France is a huge linen producer. 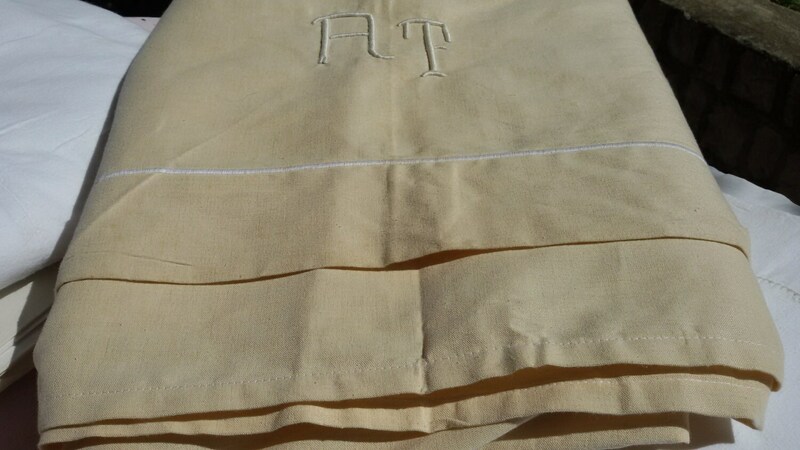 Gorgeous set of 2 French Linen blend ( metis ) Sheets Unused. Free shipping-1 week delivery to the US.